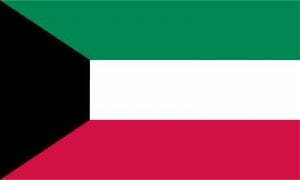 If you are planning to work in Kuwait you will most likely be asked to get some of your academic certificates or qualifications attested by the Kuwaiti Embassy. If you are handing personal matters in Kuwait you may need to attest a power of attorney or a birth certificate. We can legalise 99% of UK documents with the embassy. With over 20 years of experience working with embassies in London we know how to prepare your documents correctly. Most orders are completed in just 6-7 working days. How do we attest documents for Kuwait? We check every document to make sure it is suitable for processing for Kuwait. If your document needs to be certified by one of our solicitors we include this with our service. We submit the document to the Kuwaiti Embassy for their stamps and signing. We can only add UAE stamps to UK documents. The embassy does not accept any foreign documents. Get in touch with one of the legalisation team today. They will be happy to offer you advice on processing documents with the Kuwaiti embassy. 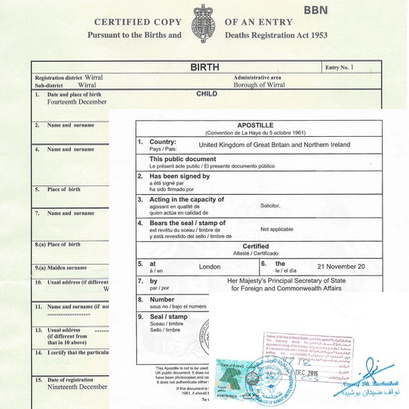 We also process business documents with the the UK apostille and Kuwaiti Embassy stamps.